The hope we all have for our children is that they will use technology in a way that is honoring of themselves, those around them, and their faith. Many times we feel like trying to keep up with all the screens in our teens lives is like trying to beat back the ocean waves with a broom. You take all of the appropriate steps to try and monitor social media, manage their devices, and mother hen them to turn everything off every once in a while. No matter how much we try to know everything our kids are doing, it’s impossible to fully keep up. Everything changes to quickly. 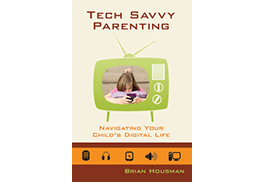 Just about the time you think you know what apps your teen is using either the next new thing comes out or their interests change. The average texting teen is on six different social media platforms. When their interest in Facebook started waining, they didn’t quit social media. They just went to the newest popular one. 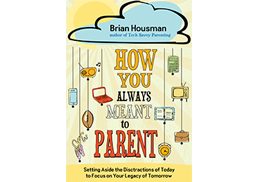 From your perspective, you finally figured out how to set boundaries with Instagram or just got comfortable letting your tween use kik Messenger, when like a slap in the face out of nowhere, something new comes out that makes it even more difficult. 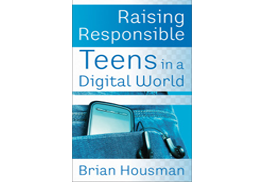 Secrecy, autonomy, and hidden messages are all the things teenagers want in social media. These also happen to be the things that terrify every parent. Case in point is the newest social media app Jott. If you thought Snapchat or Cyberdust were bad, Jott takes secrecy to another level. They’ve also found their way into the phones of millions of teenagers. Jott has only been out for less than six months yet they already have more than two million users. The company admits that virtually all of their users are 13-18 year olds. They did a study and found that half of all text messages that teenagers send are during school hours. Jott has a function that lets your kid send messages at school even if they aren’t on a cell phone. All they need is access to the school’s wifi signal. Users must register with their real name and school name. Students like it that they can flag someone who doesn’t really go to their school or is a fake profile. Similar to Snapchat, users can set a timer on their posts or photos so that they “disappear” after a few seconds. A screenshot function even notifies users if the person they messaged took a screenshot before it disappeared. The idea of disappearing messages should be a red flag for any parent. Jott has raised millions in venture capital funding so don’t look for them to disappear anytime soon. They have tapped into what young teen’s want––the ability to connect with friends without fear of consequences––and for the time being, teen’s are showing Jott some needed brand loyalty. Whether or not you let your child use Jott, here are three quick standards you should always expect of your teen using social media. 1. Nothing is private. Just because they app says it disappears, anything you post can be reposted by someone else. Never post anything that you don’t want repeated. 2. Words are easily misunderstood. It is easy for people to either get feelings hurt or misunderstand your intentions on social media. Be clear and simple. 3. Your life is an example. Always be mindful that the things you post on social media are a window into your testimony of faith. The wrong words or photo can publicly tear apart what God has been trying to do through you with others.